Bill Hughes, Professor for Gothic Studies at Bath Spa University, immediate past President of The International Gothic Association and founder editor of the internationally refereed journal Gothic Studies. 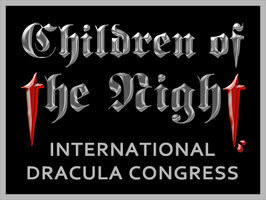 Author of numerous books and articles on Bram Stoker, Dracula and Gothic Literature. Clemens Ruthner, Assistant Professor for German at Trinity College, Dublin, and initiator/moderator of the Doctor van Helsing Society. Author of two books on the fantastic in literature (Unheimliche Wiederkehr, 1993; Am Rande, 2004) and of various academic essays. Clive Bloom, Emeritus Professor of English and American Studies at Middlesex University; Adjunct Professor at University of Notre Dame, Paris; General Editor of the Palgrave Gothic academic book series. 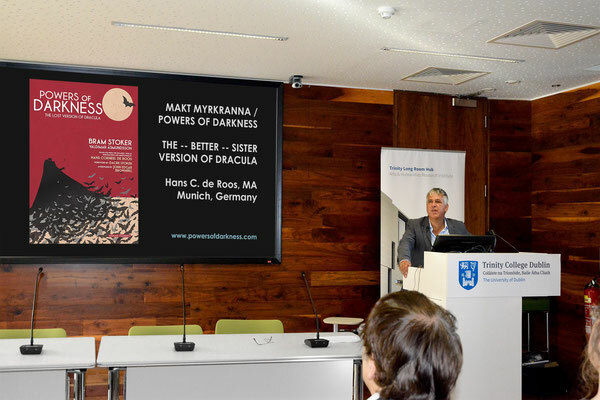 Author of Gothic Horror (Palgrave, 2nd edition 2007), Victoria’s Madmen (Palgrave, 2012), Restless Revolutionaries (History Press Limited, 2010), Terror Within (Sutton, 2007), Violent London (Springer, 2nd edition 2010), and Riot City (Palgrave, 2012). John Gordon Melton, Distinguished Professor of American Religious History of Baylor University’s Institute for Studies in Religion; Member of the International Board of the Center for Studies in New Religions (CESNUR), Turin, Italy; Senior Member of the Transylvanian Society of Dracula (US Chapter). Author of over 35 books (e.g. The Vampire Book: The Encyclopedia of the Undead, Visible Ink Press; 3rd edition 2010) and numerous scholarly articles and papers. Julia Kruk, Chairwoman and Treasurer of the Dracula Society, London. Laura Davidel, MA Degree in British Cultural Studies at Babeș-Bolyai University, Cluj-Napoca; Ph. D. candidate in Interdisciplinarity in English Studies at the Université de Lorraine, France. Maria Parrino, Ph.D. in English Studies from the University of Genova, Italy, currently graduate teaching assistant at the University of Venice. Marcia Heloisa Amarante Gonçalves, Professor and translator, currently teaching Literary Translation at Universidade Estácio de Sá. A long-time Dracula scholar, she has translated both Power of Darkness and Bram Stoker´s Dracula into Brazilian Portuguese. Marius-Mircea Crișan, Assistant-Professor for English at the West University, Timișoara, Romania; organized the BBEC Conference in Timișoara 2015 and 2016. Author of The Birth of the Dracula Myth: Bram Stoker's Transylvania (Pro Universitaria, 2013) and many other book contributions and articles. Norbert Besch, University of Würzburg, owner of Udolpho Press. Paul Murray, Dublin, Stoker biographer; author of From the Shadow of Dracula (London: Jonathan Cape, 2008). Sorcha Ní Fhlainn, Lecturer in Film Studies and a founding member of Manchester Centre for Gothic Studies at Manchester Metropolitan University. Tanja Jurković, Lecturer of English and French Language and Literature at the University of Zadar, Croatia; Currently preparing for a Ph.D. in Film and Media at Stirling University, Scotland. Organizer of the Sherlock Holmes week in Zadar; photographer.